With nearly 500 stores across five countries, we're a one-stop source for domestic, international, and freight shipping services. When you visit your local Pak Mail Superstore, we'll find the most cost-effective, safe way pack and ship your items, whether it's by air, ocean, or ground. Welcome to Pak Mail Superstore! 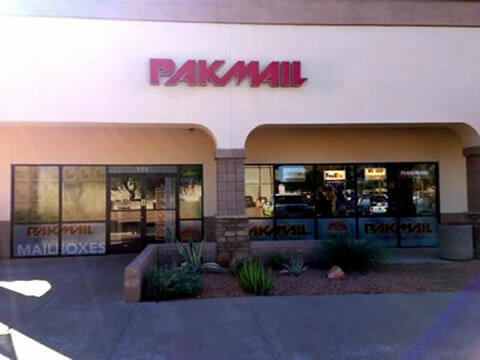 The Pak Mail Superstore located in Lakeside Plaza is the only packing and shipping business you will ever need. We don't call ourselves a "Superstore" for nothing. Unlike other packing and shipping stores, we ship with all major carriers, including UPS, FedEx, DHL, USPS, and more. So basically, we are a UPS Store, FedEx Store, and Post Office all rolled into one. Plus we do crating and freight shipping services. Who else does that? We help our customers do everything from mailing a letter to packing and shipping delicate crystal. We also build custom shipping crates for large items like heavy equipment and machinery.